A N A Tyres and Exhausts, we offer a 1-stop garage service where we can provide everything from valeting, replacement tyres, brakes, exhaust and a full MOT, the list goes on. All you need to do is call our garage on 0161 684 8981 or 0161 376 4197 to book your car in. Whether your at home or in the work place, we can always provide a service that is convenient for you. 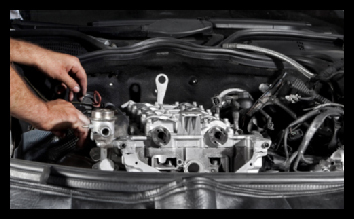 We can take care of all the mechanical work for you. We carry out a variety of mechanical work including clutches, shock absorbers engine work and body work with our aim to make you as comfortable as possible with our service and prices. WHY CHOOSE ANA TYRES & EXHAUSTS? We will tell you the costs up front, so you know exactly what is happening. Our reputation means everything to us, so we will offer you a genuine trustworthy service.